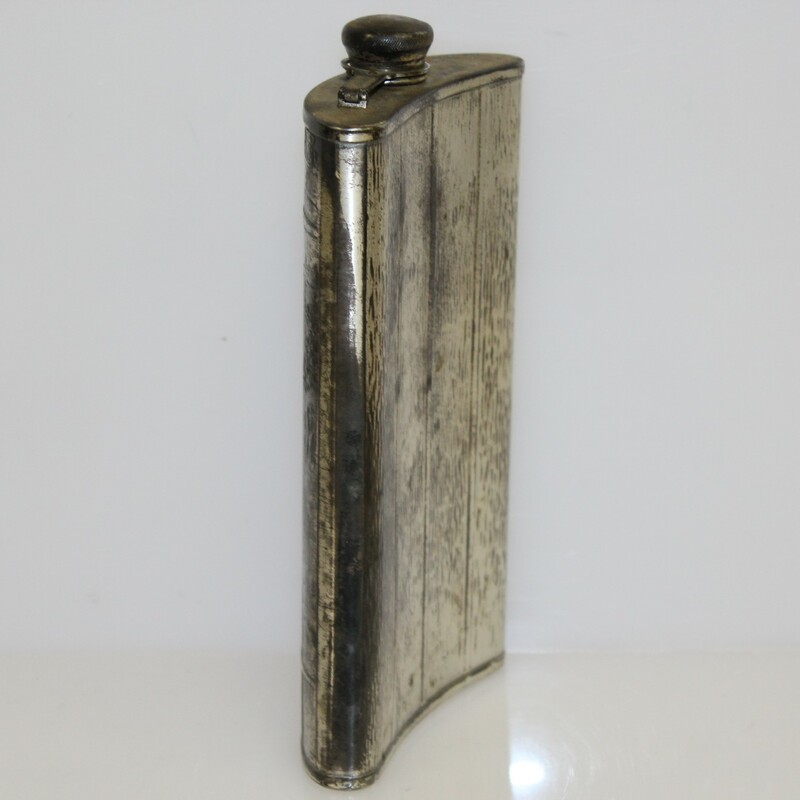 Since the 1920's, Evans has produced quality nickel products. 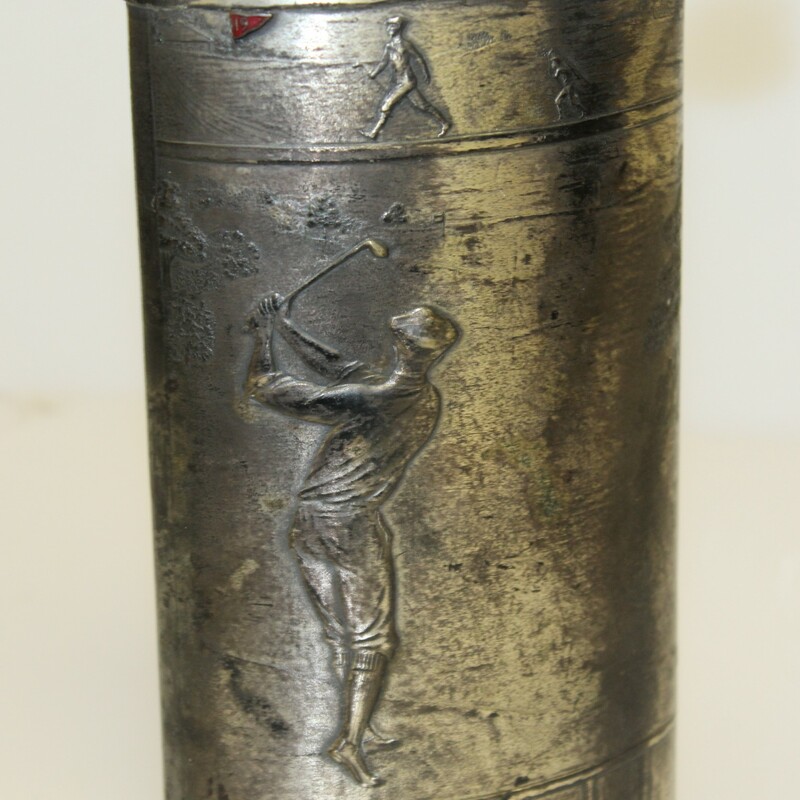 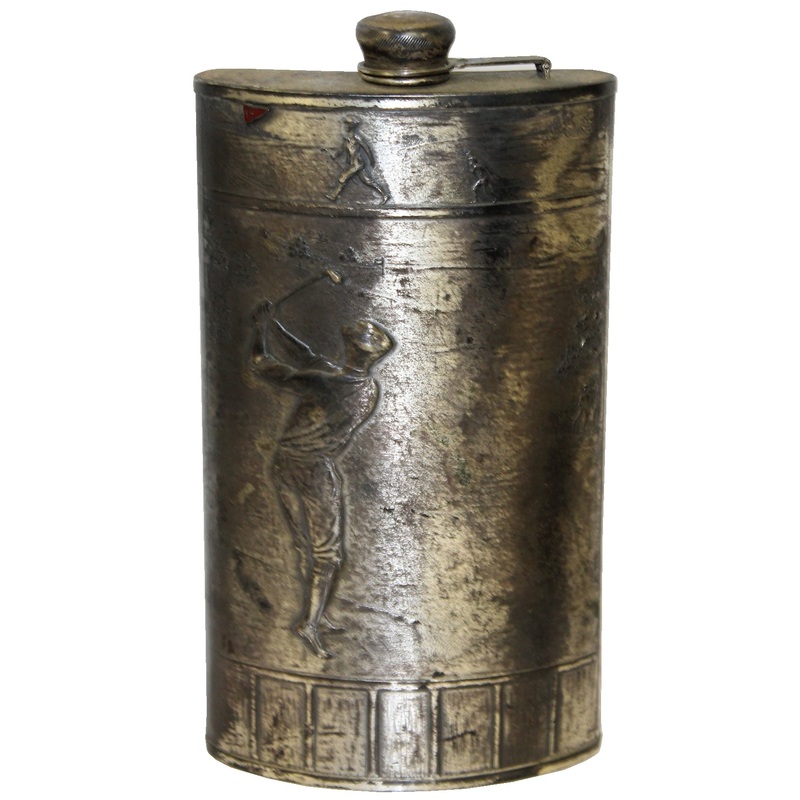 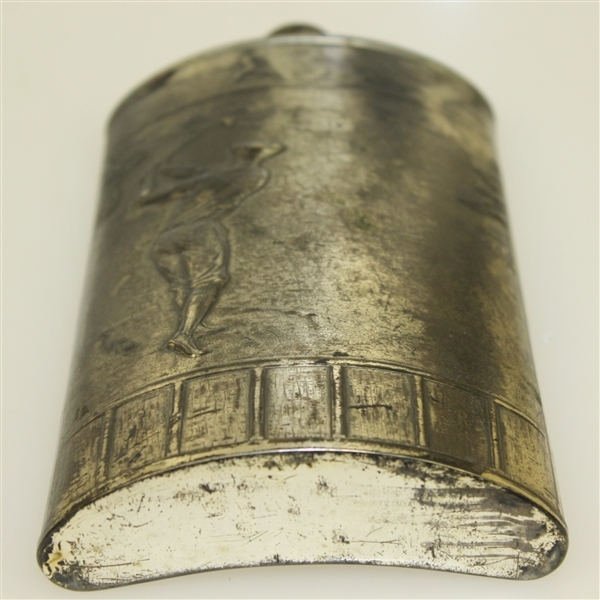 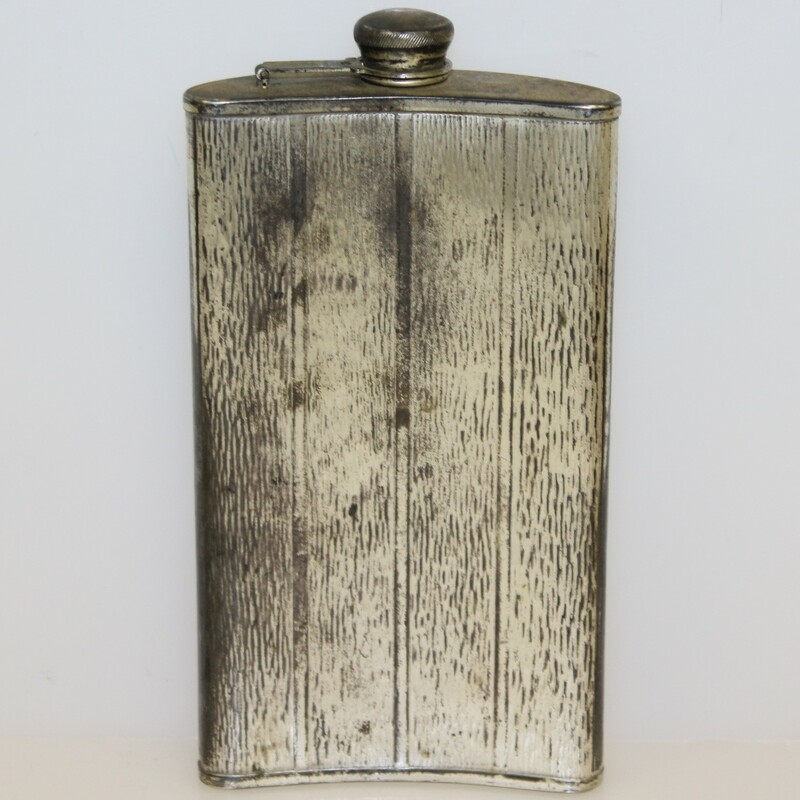 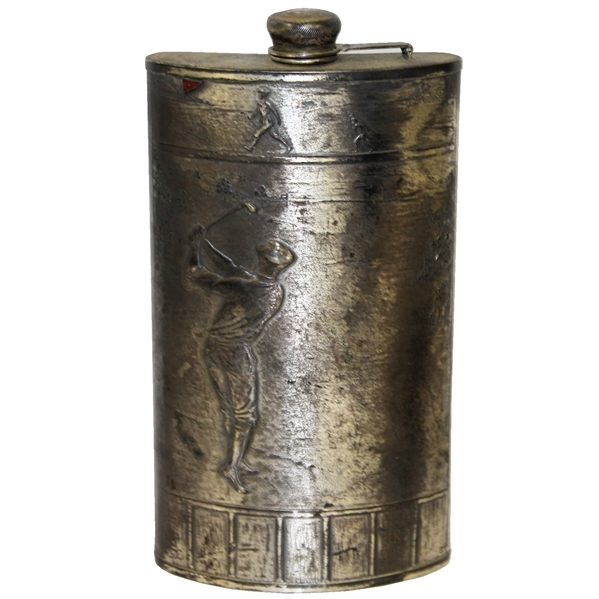 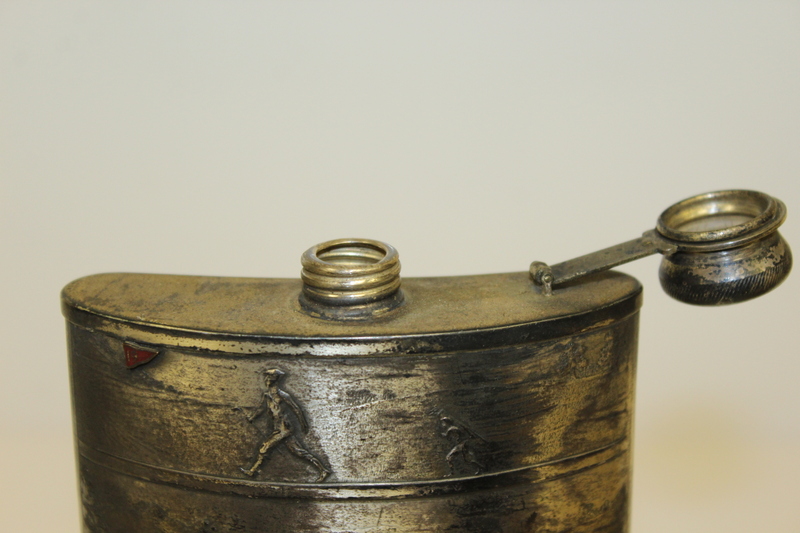 Offered here for bidders is a golf themed silver and nickel flask. 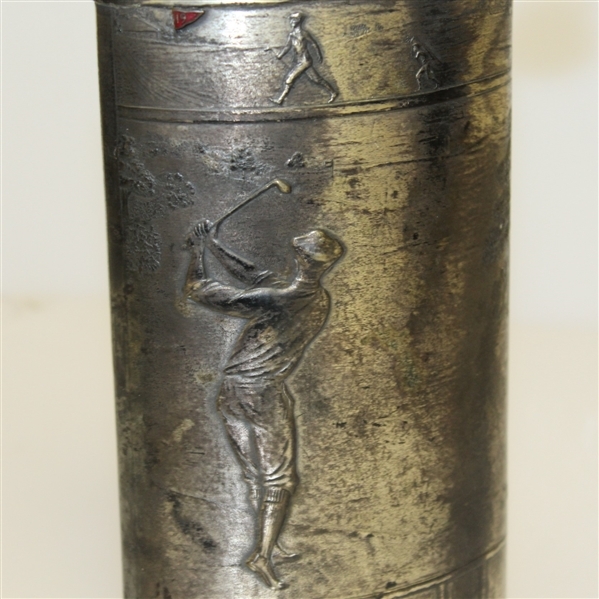 A golfer admiring his shot appears on the front. Measures 4 1/4" x 7"